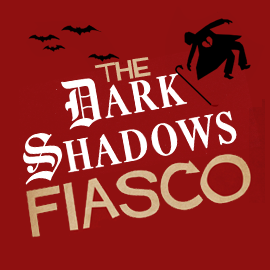 The Collinsport Historical Society: Dark Shadows is dead. Long live Dark Shadows. On this day in 1971, DARK SHADOWS came to a thudding halt. The show was pretty far from its prime, and was coasting on little more than the strength of its cast and goodwill from its audience. While the ratings during the final year weren't good, its previous success also made it more expensive to produce. The cast was earning salaries negotiated when the show was a ratings smash, so any slip in ratings made it that much more painful to the bottom line. 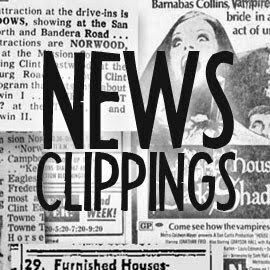 By April 2, 1971, the ratings for DARK SHADOWS weren't far from where they were before the introduction of Barnabas Collins in 1967. 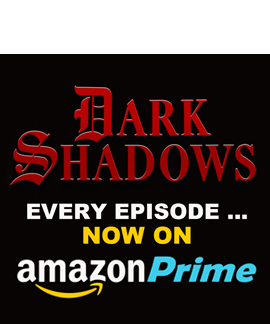 Had Dan Curtis any interest in the show, though, it’s possible DARK SHADOWS might have continued. The production had essentially been running a five-year creative marathon (one that also included the production of two feature films), which gave the show little time to find its second wind. It’s difficult to imagine the cast and crew putting up much resistance when told DARK SHADOWS was over. There might even have been a sense of relief for some of them. And the final story arc was a weird one. Devised as a sequel to the 1795 storyline, it borrowed elements from Shirley Jackson's "The Lottery" while also mixing in traditional soap opera plots (infidelity, paternity questions, love triangles, etc.) and the obligatory ghost. As a twist, the story was set in a "parallel time" tethered from the show's continuity. The results felt decided unlike DARK SHADOWS, despite the presence of so many familiar faces here. David Selby was absent from the end of the series, waylaid by a bout of appendicitis. Essentially stepping in for him is Keith Prentice, the final attempt by Curtis to audition a new leading man. Curtis had managed to rescue DARK SHADOWS with the addition of handsome rogues in the past, first with Frid and later Selby. His third attempt, “Gerard Stiles,” played by James Storm, wasn't quite as successful thanks to shortcomings in the writing. 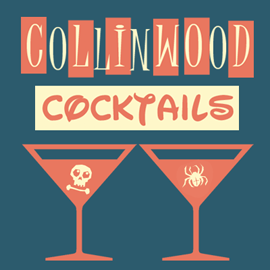 Prentice’s “Morgan Collins” was an utter failure, though. As far as handsome actors go, Prentice was more “handsome” than “actor.” His performance on DARK SHADOWS is stifled by his obvious stage fright, with his good looks doing most of the heavy lifting. 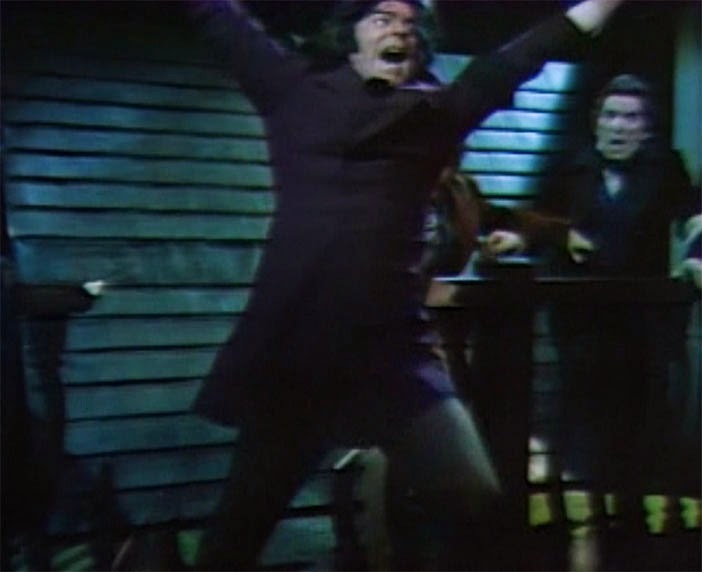 The guy was perpetually sweaty throughout his 40-episode run of DARK SHADOWS, something I initially attributed to the heavy wool costumes and lighting. But that doesn't explain why none of his co-stars ever looked like they just left the gym without showering. While Frid made his panic work for him, Prentice just came across as inhibited. Frid unfairly gets the lion’s share of the blame for tepidness of the “1840 Parallel Time” storyline. 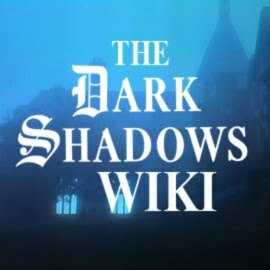 There were a lot of tensions pulling at the seams of DARK SHADOWS during its final year, but Frid is the easiest target because he’s the most visible. As with many soaps, the writers had tried so many different romantic pairings during the show’s run (Barnabas + Victoria; Quentin + Angelique; Willie + Carolyn) that there wasn't much left to mine from the cast’s chemistry. In a sense, the 1840 Parallel Time arc allowed the writers to pair actors instead of characters. It was supposed to be a fresh start, allowing actors like Frid and Parker to work without the baggage of Barnabas and Angelique. But the story quickly turned into a brick wall. 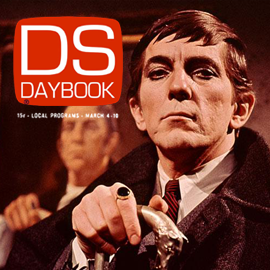 The writers were no longer engaged in the material, and Frid’s performance as Bramwell Collins — the son of Barnabas Collins — was further proof that he was bored with DARK SHADOWS. 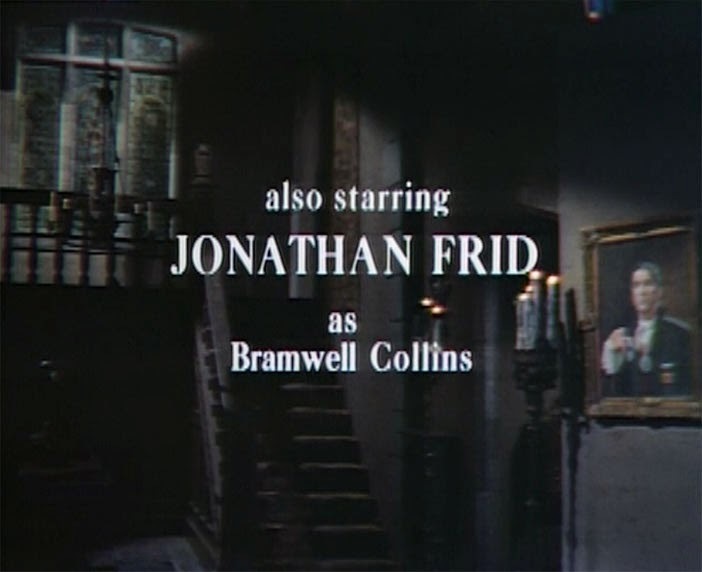 He was too much of a professional to phone-in his performance (he’s actually quite energetic in this final episode), but Bramwell clearly did not provide the inspiration he needed at this point in his career. In fact, nobody’s going through the motions in this episode. Parker is especially good and couldn't be any more invested in her performance if it had been her first episode instead of her last. Story has it that Neil Simon was present on the set of taping for the final episode, prompting a much broader performance from Prentice — who used his final appearance as an opportunity to audition for the playwright. Squirrel bites look remarkably similar to vampire bites. As a conclusion for DARK SHADOWS, this episode left much to be desired. Barnabas Collins and the rest of the show’s core cast hadn't appeared on the show since the January of that year, and were not mentioned. Intending to right that wrong, head writer Sam Hall penned a lengthy epilogue for the series, which was published in TV Guide. 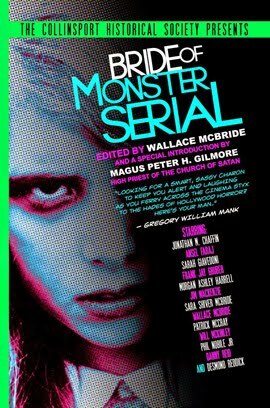 Fans quickly stepped up, as well, and have spent the last 40 years writing fanfic that continued the story. From there, DARK SHADOWS already fragmented continuity just continued to splinter. 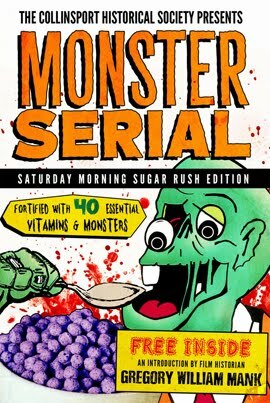 The completely unrelated novels by Marilyn Ross continued for a short time after the cancellation of the show, while the also unrelated comics from Gold Key remained in print until 1976. Lara Parker has written several novels set after the events of the original television show, which contradict the events depicted in the comics published a few years ago by Dynamite Entertainment. 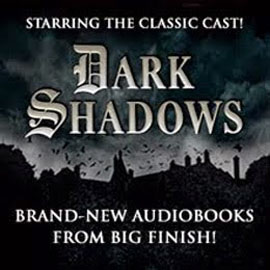 And then there's Big Finish, which has produced almost 50 audiodramas extending the show's continuity ... which are also unrelated to any other stories set in the years after the end of the original television show. In a sense, DARK SHADOWS is both blessed and cursed with resolutions to the original series. We've got enough material out there to pick and choose what we like, constructing our own narratives using the "best of the best" of what's been created since the show's end in 1971. 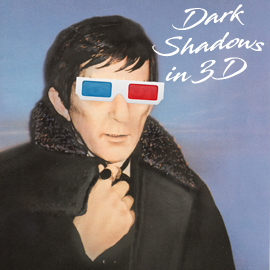 In that regard, it's likely DARK SHADOWS will never truly end. This is one of THE best articles on the site. I remember very well watching this for the first time on SciFi. I really felt a lot of different things. Throughout the story of 1841 PT, I was pleased and engaged, but it felt really mellow considering that I had just come off of the 1840 Gerard story line, which is one of my favorites. 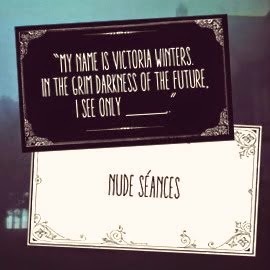 I was really excited when Melanie came back with the bite becuase I was wondering who the vampire was going to be, and the show was turning back to a better direction. When the narration came, I was completely unprepared for the series to be ending. I had no idea that was the last episode. I felt sad, confused, and somewhat irritated. To add to my confusion, SciFi always ran 2 episodes per day, and, when I saw it, this episode was shown first and immediately followed by the very first episode of Victoria's arriial in Collinsport. I hadn't seen those yet, as I had just come into the show during the end of the Leviathans and the beginnings of 1970 PT. I had no idea who anyone except Roger and Liz were or what was going on. I still love the 1841 PT story, but do you think that the way it ended was sort of a "jumping the shark" moment for Dan to trap ABC into continiuing the show because of such a cliff hanger in an attempt to re-introduce a new vampire to save it since that worked so well the first time, or do you think Dan was truly done? I've often wondered if they had an actor "on hold" to play the new vampire that would have been there in 1841 and somehow crossed back to standard time in 1970 via the staircase, somehow re-re-re-making Barnabas a vampire again. Running further with this thought, I also wondered if Dan hoped that Frid would someday get an itch to be "Barnabas" once more if all went well and the show did catch a "second wind" like you said. I know I'm probably way off track of what actually happened, but this was a theory that I've often wondered if there was any merit to. If not, I guess I just stumbled on to a premise for a fanfic. Anyway, I loved reading this article and remembering that day so well again. Thanks! Thanks, man. I missed this episode the first time on Sci-Fi. I moved away to college at that time, and my mother was recording the show for me on VHS (I'd get a full week of episodes at a time, which was nice.) The show slipped off my radar toward the end, and I missed the final 100 episodes. I revisited the show from the beginning a few years back, and was shocked when the final episode ended ... I was sure there was another disc left, but BLAM! The end. It must have been really shocking to have seen this episode during the original run. 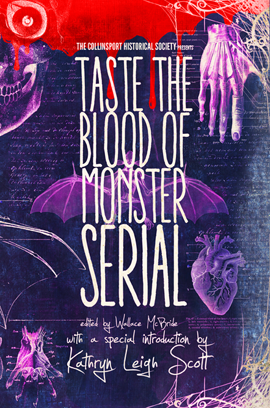 >>> “There was no vampire loose on the great estate. For the first time at Collinwood the marks on the neck were indeed those of an animal.”>>>> I always thought this was said more for expediting the closing than any real intent by the writers. 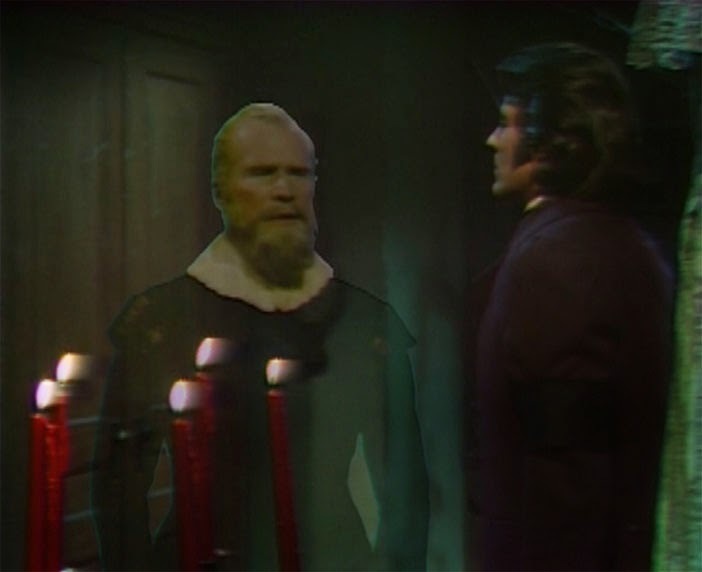 For days leading up to that final episode there were continued contrivances to focus on the portrait of Barnabas, there was even the heartbeat. I'm sure there are a very few who will go on about how much they loved Bramwell, there are always a few contrarians aren't there?But he was a boring lethargic sort. 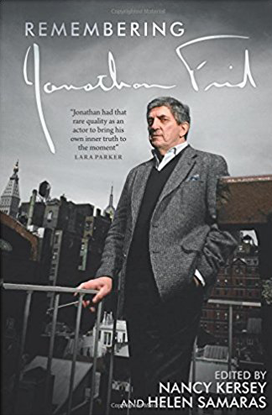 .... Dan should have exerted more pressure, Jonathan was as beholden to the series for making him a star as he was for making the show a the success that it was. There was a LOT more they might have attempted, overall I feel the issue was writing and direction. The talent was fine but the plots had gone to crap. Great article and insight, Wallace.